Enjoy a perfect wedding with your guests and witness your own fairytale become true. Welcome to the Crowne Plaza Istanbul Asia where you will have a personalized service of a high standard, pampering, luxury, and an unforgettable accommodation experience. 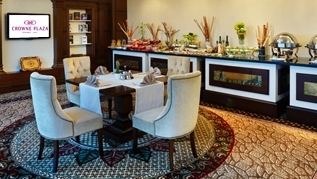 Make your reservation through our website and benefit from the best price guarantee. If you make your reservation at a lower price through another channel, the first night of your stay is on us! 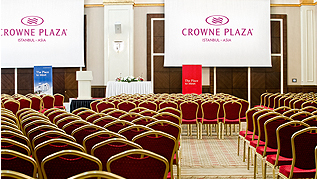 Crowne Plaza Istanbul Asia is an ideal choice for business meetings with its location 3 km from Sabiha GÃ¶kÃ§en International Airport, its 27 function rooms, and the Via Port Convention and Expo Center covering 9,840 square meters in total.